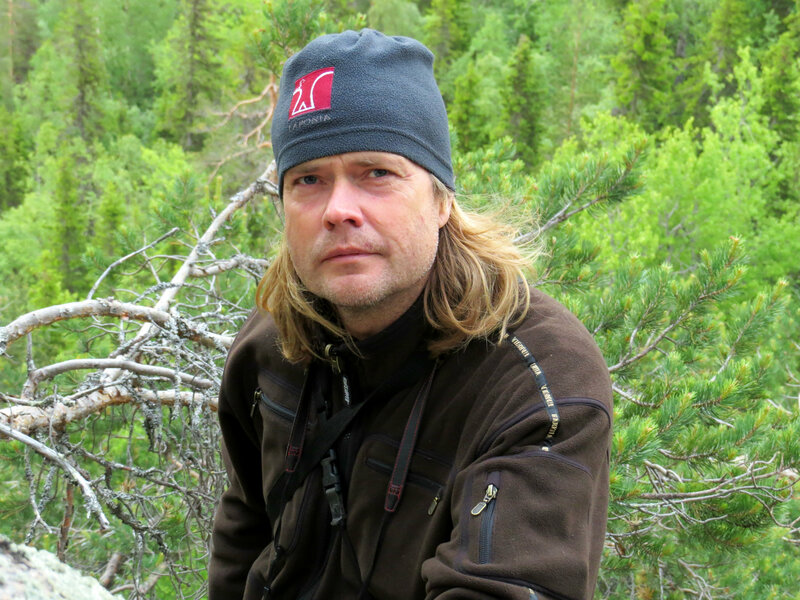 Håkan Landström, Managing Director and Team Leader of Rewilding Lapland, Sweden. As a hard-working outdoorsman, he had no intention of retreating into an office and letting others do the groundwork. In 2003, a car accident forced him to reconsider this approach, and he decided to start taking fewer risks going forward. Thanks to his knowledge of, and experience in working with local communities of Swedish Lapland, he soon found work at Swedish national body of Rural Economy and Agricultural Societies, or Hushållningssällskapet. Here, he was responsible for the development of business opportunities for Lapland’s rural communities, a matter of great importance at a time when an increasing number of young people were leaving these areas to pursue a more urbanised lifestyle. In mid 2016, Håkan learned about the job opportunity for the position of the Managing Director of Rewilding Lapland. He did not have to think long before sending his application, in his own words, it allows him to do ‘something that matters’ in a region he deeply cares about. Currently, much of his work is focused around the restoration of riverine ecosystems for the benefit of the wildlife – and the people – that depend on them. One of these is at the Råne river, a low-lying stream that has suffered great ecological decline after decades of logging in the surrounding woodlands. Through the creation of new spawning grounds, and the removal of man-made obstacles, Håkan and his team aim to restore healthy populations of brown trout and pearl mussels, which will in turn balance the river ecosystem and create business opportunities for locals. In the uplands, the Pite river comes with its own set of opportunities and challenges. In Lapland’s mountainous areas, the Sami often have the final say in what can or cannot happen. The Sami community is a key player and uses the entire land with modern management tools but anchored in old traditions where intact nature serves as the baseline. Proud people with a deep connection to the land, they spend the majority of their lives out on the hills and, as a result, are notoriously difficult to get in touch with. Håkan is keenly aware, however, that their support is crucial for rewilding to be a success in these areas, and that patience is a key job requirement for a rewilding area team leader. This all makes for a highly varied and unpredictable, working routine. 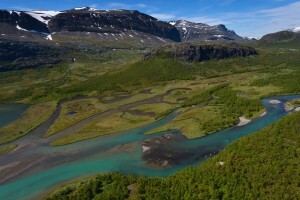 No matter how chaotic it might be, however, Håkan never loses sight of his end goal: to truly integrate the principles of rewilding and Rewilding Lapland ethos into the Swedish Lapland way of life and to establish it as the link that connects all who want to enjoy and benefit from its wild nature. Raising awareness of and supporting new initiatives is not always easy in these rural areas. Locals who fear that their livelihoods might be at threat often regard newcomers with scepticism. For Håkan, this means listening carefully and making sure decisions to include the local community in decision-making. It also means cooperating with those for whom conservation and wild lands are not a primary concern, such as those making a living from forestry and other practices that could harm the environment. Ultimately, no river restoration project can succeed if the surrounding woodlands are chopped down for timber, and there will be no habitat for bears, lynx, wolverine, eagles and all the other iconic wildlife that is so important for Lapland’s nature-based businesses to succeed. This December, Håkan meets with the region’s biggest forest owner to discuss ways in which all stakeholders can be brought together for the common good. Talking about this meeting and about other plans for 2017 and beyond, his voice is full of optimism. There is, it seems, hope for a wilder future after all.